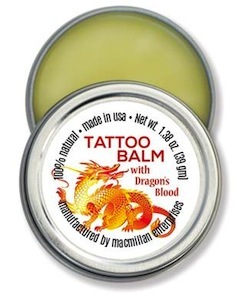 MacMillan enterprise is proud to introduce our 100% Natural Tattoo Balm made with Dragon’s Blood. 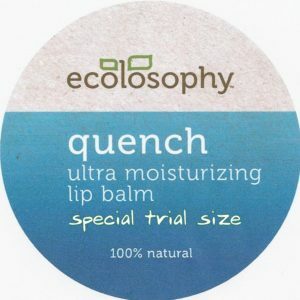 We have worked for over a year to develop this product and want our customers to understand why this is such a great product. 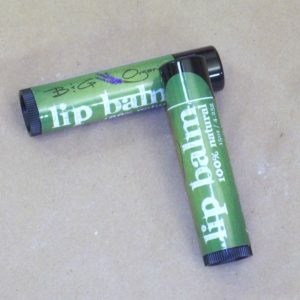 Please review the ingredients of this product and you will see that we have put the very best ingredients in it in order to provide the very best Tattoo Balm in the marketplace. Dragon’s Blood: Dragon’s Blood is also known as sangre de grado, sangre de drago and drago. Sangre de grad, Spanish for “bloood of the dragon” has a long history of use for both the bark and the resin. An early reference dating back to the 1600’s notes that Spanish explorer P. Bernabe Cobo found the sap was being used by indigenous tribes throughout Peru and Ecuador. Dragon’s blood resin and bark are being used in traditional medicine in South America. 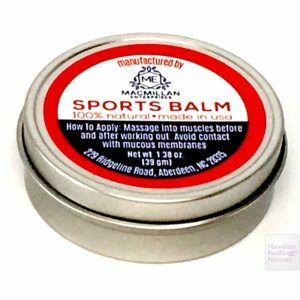 They are used in both external and internal applications to stop bleeding, help heal wounds and treat intestinal problems. Studies regarding this plant date back to the late 1970’s and preparations made from Dragon’s Blood are found in several pharmaceutical products. Dragon’s Blood has been used for its antiviral and wound healing effects. Taspine, a component of Dragon’s Blood has been documented to have anti-inflammatory and woumd healing actions. Shea Butter: A 100% Natural raw material which has been used by the indigenous peoples of West Africa to not only restore, soothe and protect their skin, but also to treat inflammation, rashes, dermatitis, and irritated skin thanks to its excellent healing properties. Shea butter is extracted from the kernels of the Shea tree. The trees grow in the wild so no land clearing is required and the trees are protected by local laws. The trees have a life cycle of more than 200 years. They produce a tasty fruit with a kernel containing high oil content, providing food, work, and income for women in West Africa. AAK, our Shea Butter provider buys direct from the local women who collect the kernels rather than buying from dealers. Currently over 30,000 women located in Burkina Faso work directly with AAK which provides them a pre finance plan for their work. This means they receive pre finance during the time of year they most need money. Olive Oil: Helps prevent and repair cell damage, absorbs UV radiation and contains antioxidants with additional moisturizing properties. Beeswax: Contains anti-bacterial properties with Vitamin A, aids in natural healing and cell development without clogging pores. Rice Bran Oil: Diminishes the effects of aging and wrinkles, contains high concentrations of Vitamin E.
Wheat Germ Oil: Contains high levels of naturally occurring antioxidants Vitamin E and Beta carotene, improves circulation, prevents scarring and repairs sun damage.